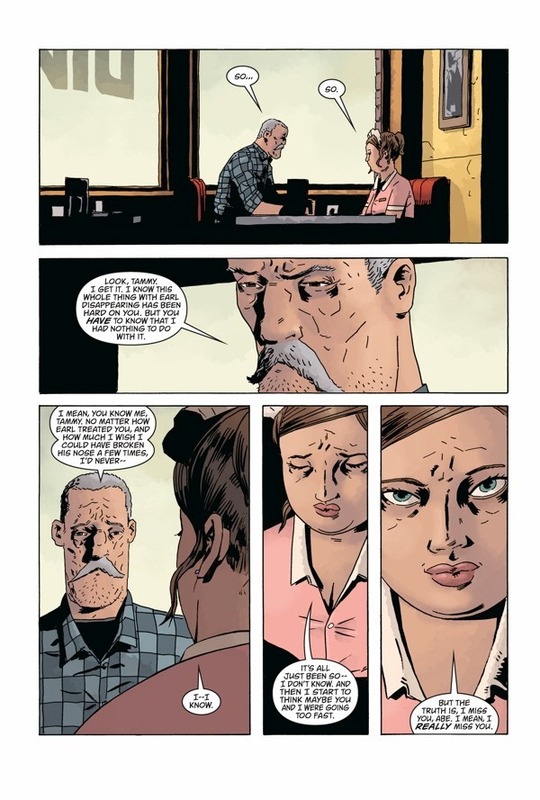 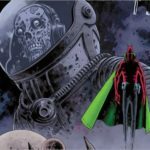 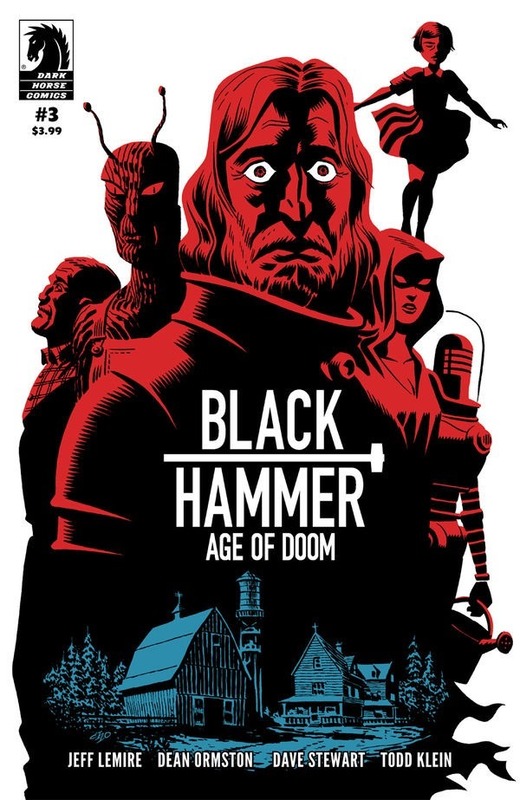 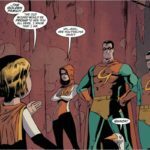 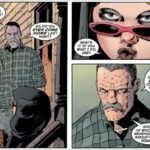 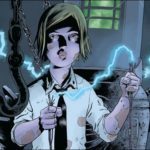 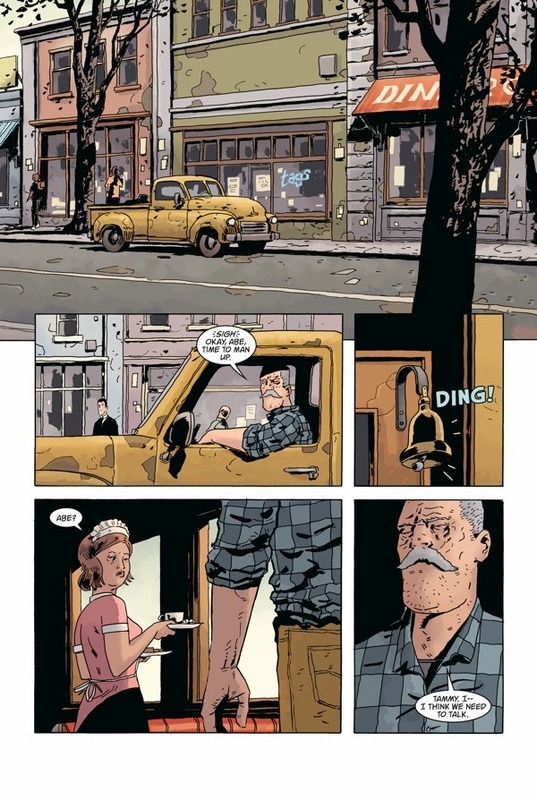 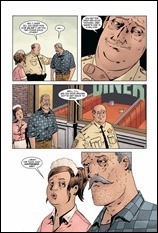 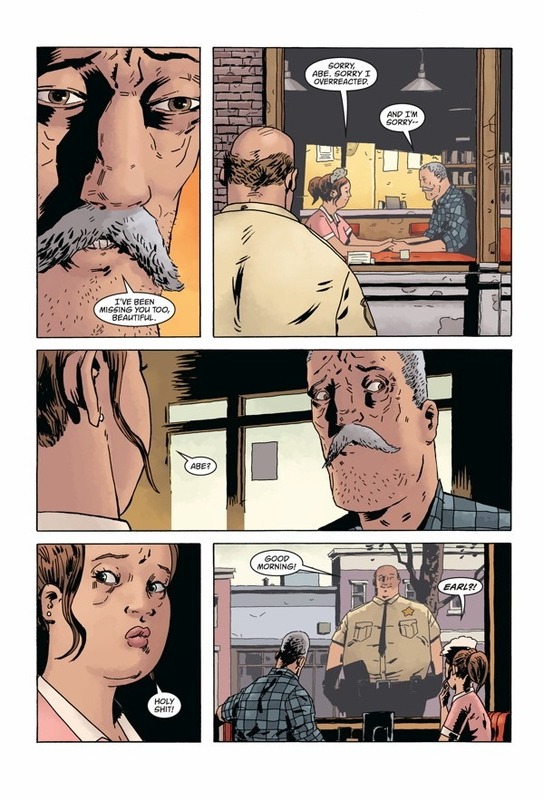 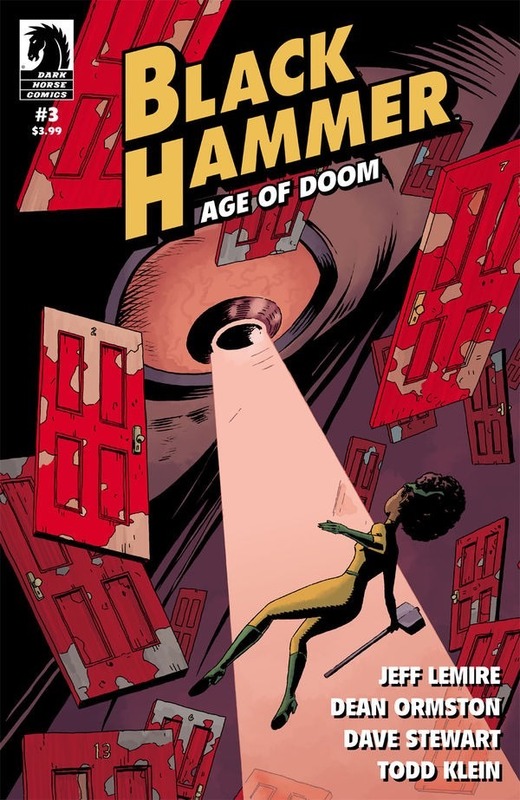 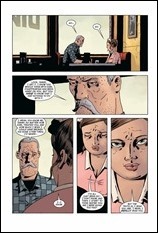 Here’s a 5-page preview of Black Hammer: Age of Doom #3 by writer Jeff Lemire and artist Dean Ormston, on sale June 20th, 2018 from Dark Horse. 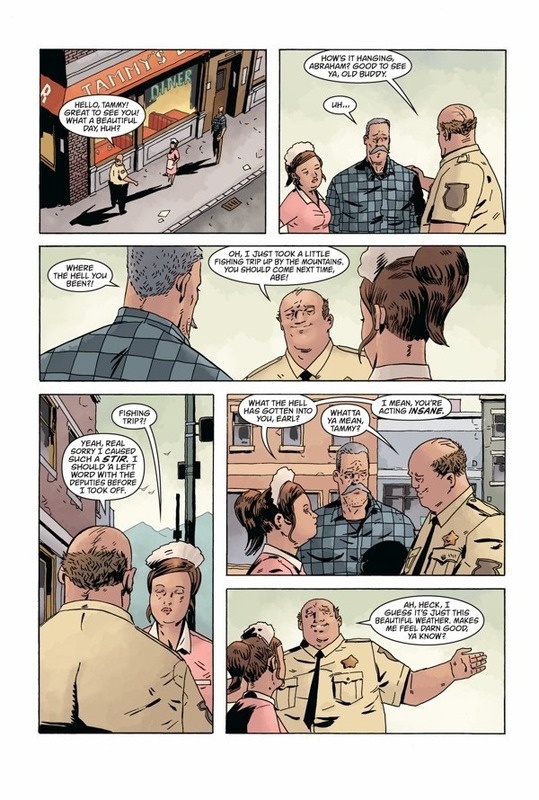 Lucy Weber, a.k.a. 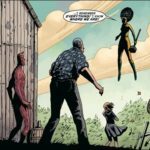 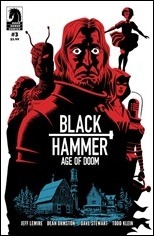 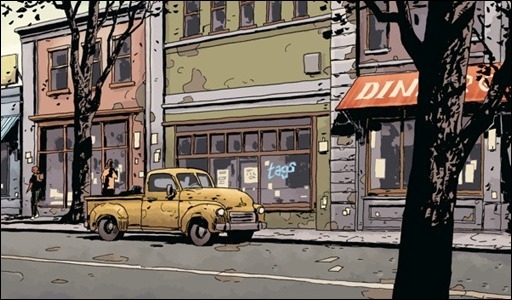 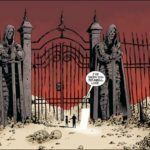 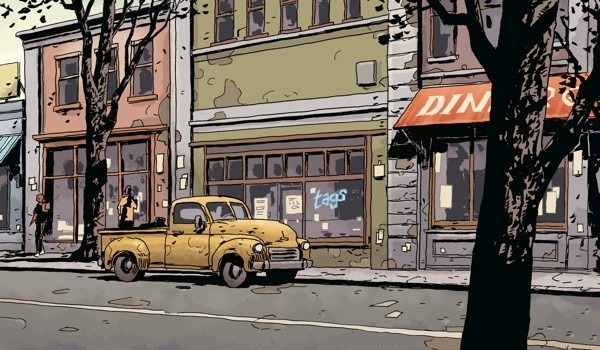 Black Hammer, continues her journey in Dreamland back to the farm, leading to a confrontation with the mysterious Bereaver. 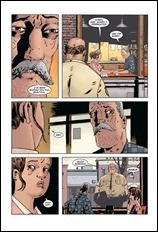 At the same time, both Abe and Barbie give one last shot at salvaging their love lives.